Hello and happy Friday! 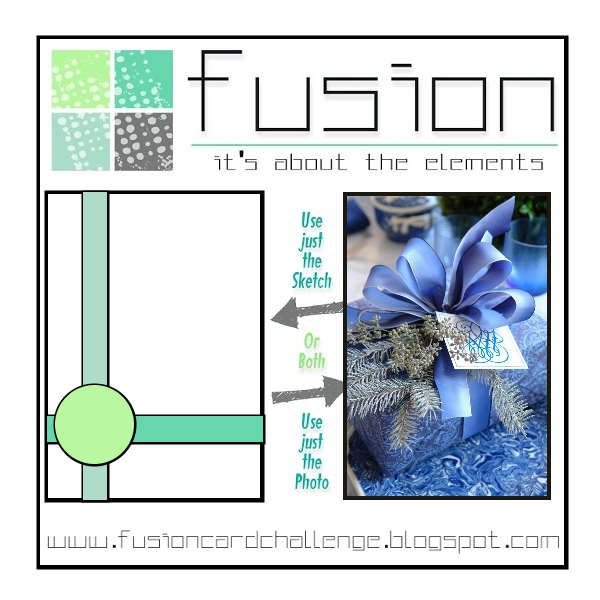 Today I am entering a new to me challenge over at the Fushion Card Challenge blog. I love the inspiration photo and the sketch so I chose to create FUSHION and used both! I love blue and silver together! I wrapped my blue ribbon around my card stock and added some silver twine, then I stamped my sentiment onto a little tag and tied it onto the bows with another piece of silver twine. I adhered my panel onto a top folding card base with foam squares and called it a day. Bold and beautiful, Michelle. Love it. This is so beautiful Michelle! Crisp, clean and oh so striking! Such a classy, eye-catching card; swooning over your beautiful bow! 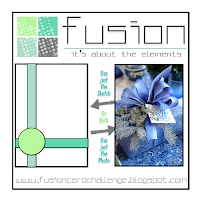 Thank you for sharing this gem in the FUSION gallery! Merry Christmas and Happy New Year!